Prime Minister Justin Trudeau says the Liberal government's focus is on securing the release of two Canadians arbitrarily detained in China, and he doesn't believe swapping out Canada's ambassador in Beijing after his eyebrow-raising comments about the Meng Wanzhou case will aid in that effort. 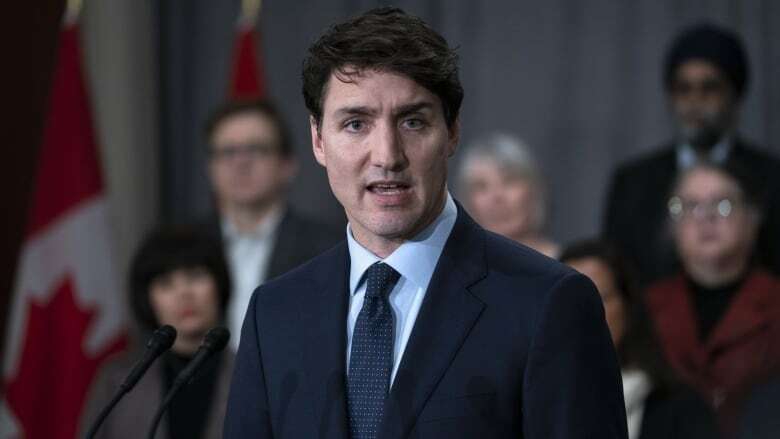 Speaking to reporters after an announcement in New Brunswick, Trudeau said Thursday the Huawei executive will have a fair shot in B.C. court to "enthusiastically" fight an American request for extradition. But he reiterated Canada is committed to the rule of law and legal proceedings free of political interference. On Tuesday, John McCallum, the former Liberal cabinet minister turned ambassador to China, suggested Meng has a "strong case" to make against extradition and he enumerated defences her counsel could rely on to secure her freedom. Trudeau batted away a suggestion, first floated by Conservative Leader Andrew Scheer, that McCallum's comments warrant his firing. "Our focus is entirely on getting those Canadians home safe and making sure that all their rights are respected ... Making a change would not help release those Canadians a day sooner." McCallum's remarks, made exclusively to Chinese-language reporters at a news conference in Markham, Ont., were met with heavy criticism from the Conservative Opposition in Ottawa, who said an ambassador should not weigh in on the merits of such a sensitive case. "John McCallum, as ambassador, has a very special place in this whole dynamic. He's not someone with an opinion, or a professor opining," Scheer said in an interview with CBC's Power & Politics. One of McCallum's predecessors, former ambassador to China David Mulroney, said McCallum's comments on the strength of Meng's defence against U.S. claims were "almost impossible to understand." "The prime minister needs to clearly and specifically repudiate the comments [by McCallum], which are already being spun by the Chinese," Mulroney tweeted after Trudeau said Thursday he would not move to replace McCallum after his controversial intervention. Indeed, a spokesperson for China's Foreign Ministry said Thursday they have "noted the relevant remarks by Ambassador McCallum" on the matter. "We believe that anyone with normal judgment could see through the nature of this case. We hope that the Canadian side will make the right choice instead of risking endangering itself for other's gains. "It is very easy to understand. Canada and the U.S. have abused their bilateral extradition treaty and seriously violated the safety and legitimate and legal rights and interests of the Chinese citizen. We have made our stern position clear," Hua Chunying said in Mandarin. "In order to change the current situation, the Canadian side needs to face up to the issue squarely, take China's solemn concerns seriously, and take measures to correct its mistakes." Canadians Michael Kovrig and Michael Spavor have been held in China for over six weeks; Trudeau has described their detentions as "arbitrary" acts of retaliation over Meng's arrest. Chinese officials have said only that the two men are accused of "engaging in activities endangering national security." Schellenberg's lawyer, Zhang Dongshuo, told CBC News Thursday that he will file an appeal on his client's behalf this Sunday, just a day before a court-imposed deadline for an appeal passes. Zhang has said the Chinese government was out of line in ordering the hasty retrial after Meng was first arrested in Vancouver. Zhang said his client maintains his innocence in the face of the prosecution's claims that he was part of a drug syndicate and involved in the smuggling of methamphetamines out of China. "We disagree with the verdict, of course," Zhang said. "We don't believe there is enough evidence to justify the sentence [of death], even if everything the prosecution presented were true." The appeal could take months to adjudicate. 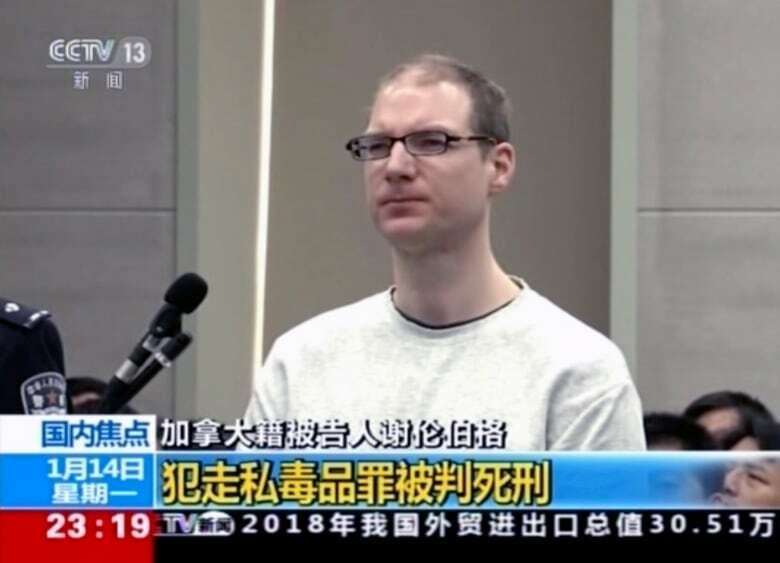 If it's rejected, Schellenberg's death sentence would then go to China's top court for approval.